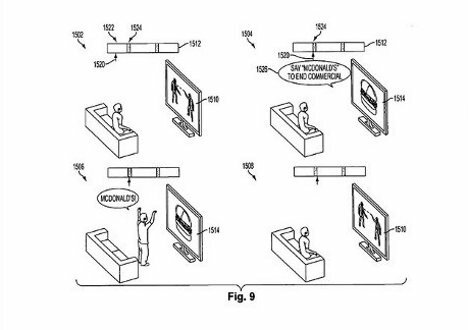 Sony has filed a patent application that will take television to an entirely new, way creepier and more interactive, level in our homes. But the question is: do we really want that? We’ve developed technology to help us skip commercials, and most of us seem pretty happy with that. Sony, however, wants to take us in the other direction by feeding us unavoidable but “fun” advertisements in streaming media. 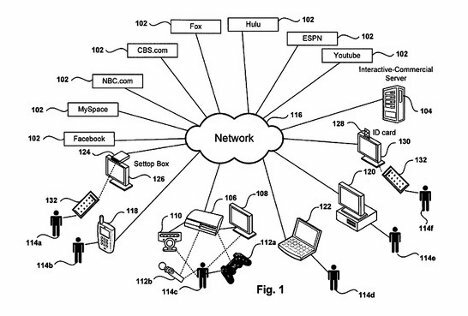 The patent application is quite broad and can apply to a number of advertising tactics. One of the most disturbing is a commercial that requires you to say the name of the company in the commercial in order to shorten the commercial’s airtime. In the above example, the viewer sees a short spot for McDonald’s and is asked to say “McDonald’s” out loud to reduce the time the advert is on the TV. It’s sort of like an obnoxious test to ensure that the audience is paying attention to the advertising. The really interesting parts of the application, however, revolve around the possibility of making commercials into interactive games. 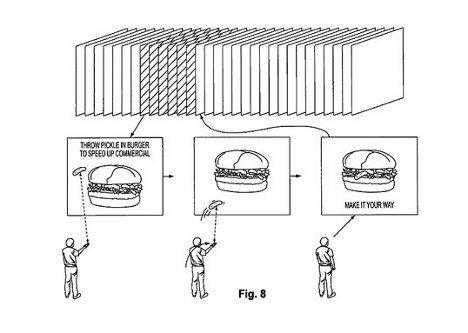 In one example, a Burger King commercial asks the viewer to hurl a virtual pickle at the hamburger on screen in order to speed up the commercial. The viewer uses some sort of controller already found in the home and could possibly win points in the game which could be sent via text message. 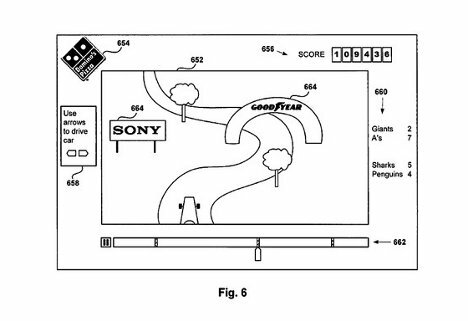 In fact, Sony wants to involve every gadget possible in this system, along with social networking sites for good measure. While the interactive advertisements are interesting from a technological standpoint, they are sort of alarming from a consumer’s viewpoint. Do we really need more invasive ads, particularly ads that force us to show we’re paying attention to them? Making commercials into games seems like a dangerous pursuit, particularly where impressionable kids are involved. See more in Unbuilt Concepts or under Technology. September, 2012.